I took a course in The brain six years ago and was so inspired by what I learned that I posted on it. Thought you newer readers might get something out of it. Exercise and intelligent eating are the keys to weight control and healthy living. Everyone knows that 30 minutes on the treadmill burns X amount of calories depending on your weight. The role of exercise in healthy living and weight control is straight forward and doesn’t need explaining. The exercise of the brain in weight control is another matter. 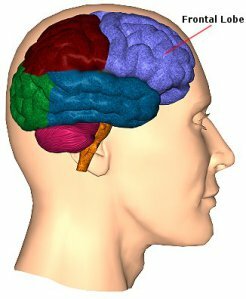 In order to understand it, you need to know a few basic facts about parts of your brain and how they function. If you are willing to wade through a couple of basic biology facts, I think you will emerge at the other end with a new tool in the universal ongoing battle of the bulge. For this subject we need to focus on just two parts of the brain and how they work, together and separately.